Jason and Jeffery Linford are identical twins, business partners and musicians. In addition to performing music together, the brothers also own a pest control company in Arizona. The Linford Twins appeared on ABC’s The Gong Show in 2017 where they entertained the audience by playing a fiddle duet and simultaneously exterminating human cockroaches with carbon dioxide guns. The Lindfords were born in Boise, Idaho and raised in Mesa, Arizona. Growing up, their family was very musical and would perform together. The twins joined an orchestra in the fourth grade and started learning the violin. According to Jeffery, the two of them were less enthused about classical training and became big fans of fiddling. 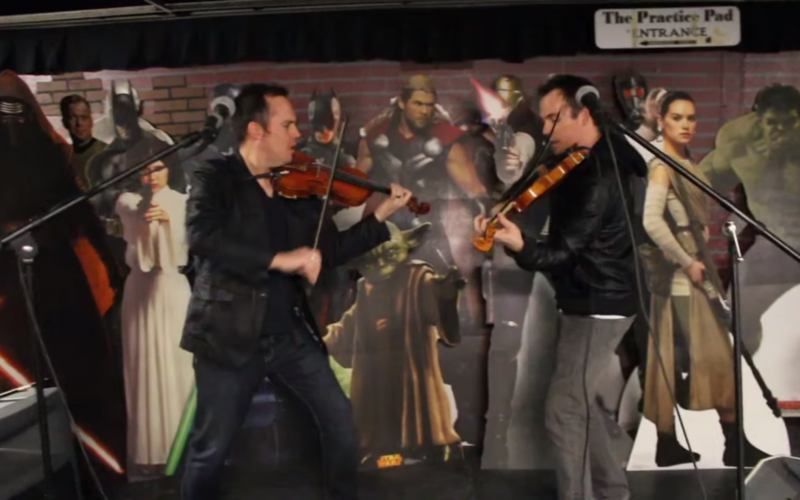 The violin isn’t just their only talent, though. Between the two brothers there’s hardly an instrument that can’t be played. The brothers have a goal to create music that is uplifting and can change lives. Jason and Jefferey have modified an old music store and turned it into what they call the “practice pad” — a place for them to practice and record their music.